SLIMMING DRINK THAT ACTUALLY WORKS! 1. Get 1-2 large pink grapefruits. 2. Then get i medium sized lemon and squeeze all of the juice into the blender. 3.Peel the grapefruits and chop them then put them in the blender. 4.Blend all of the ingredients. 5.If your mixture is a little thick then add some cold water to liquify it. This drink is a food supplement so if your getting hungry between meals you can drink this. BREAKFAST: boiled egg with a piece of brown wholemeal bread and you can drink this juice as a side. Try eating your dinner before 6 as you need to give your body time to digest all of the food as you don't want to go to bed with a bloated tummy. After you've had your dinner you can eat a greek organic yoghurt with some fruit and honey. 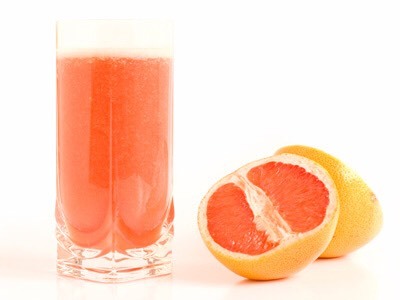 Then after this make the lemon and grapefruit drink and drink it, it may taste a little bitter but this is the thing that will make your body digest the food and make you slimmer!! !